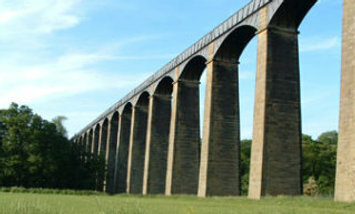 A FURTHER inquest into the death of a teenager who fell from the Pontcysyllte Aqueduct on the Llangollen Canal has been adjourned. It was in May last year that narrowboatworld reported the death of 18 years old Kris Mcdowell, who was walking with a friend over the aqueduct in the early hours of Tuesday 31st May last year, when he fell from the 126ft structure, with Canal & River Trust holding an inquiry, that found is was an accident. But coroner John Gittins has adjourned a further inquest into the death, being concerned at the findings so far. The first inquest was held in July last year, that was also adjourned. It is the family of the dead teenagers that have requested an independent report into the death, not being satisfied with that of the Trust.